Clothing. If you are like most, you have a closet and bureau full of clothes and you probably only end up wearing a small percentage of them. I am guilty of this. I have a ton of tee shirts but only wear a handful all of the time. When I think of the money I wasted on clothes I never wear it hurts. So what are some ways you can save money on clothes? The obvious answer is to not buy any in the first place. But walking around without clothes is going to get you into trouble unless you live in a nudist colony. So we’ve got to buy clothes, but does this mean we can’t get good deals and save money in the long run? Nope. In this post, I am going to show you a few ways on how to save money on clothes. Consignment Shops: More and more of these are popping up all over the place. You will find good, high quality clothes that have been barely worn (and sometimes never even worn) for huge discounts. Many times you can find great name brands at consignment shops. Thrift Stores: This one is hit or miss. Many times you may go and come up empty handed, but there are times when you can go and find some really good clothes for a very low price. Outlet Stores: Like consignment shops, these outlets are popping up everywhere. Most times they have great deals, like 50% off or more. The key to shopping here though is to pay attention to the quality you are getting. Many retailers now make a separate line exclusively for their outlets and sometimes they lack in quality. Discount Stores: These are your TJ Maxx, Ross and Marshall’s. They have overstocked items from retailers for a discount. 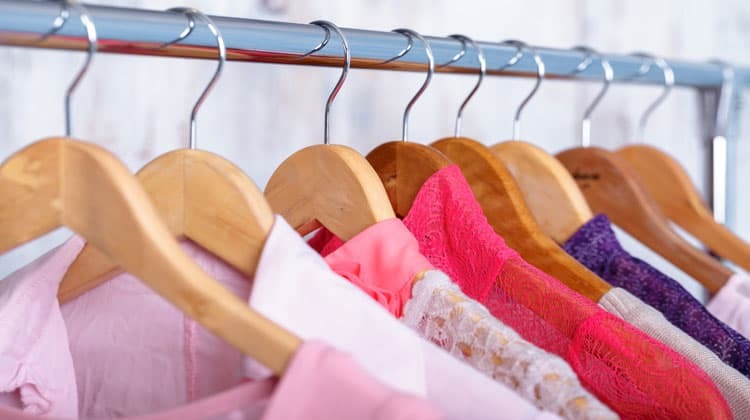 While not as great as a consignment shop or an outlet, they are still a great place to go to find good quality clothes on a discount. So why shop at these stores? Because you can save a ton of money on clothes that are like new. Let the person who isn’t as thrifty with their money pay full price and wait for them to never wear the item and get rid of it at a consignment shop. You’ll come out ahead big time. Now does this mean you should never shop at a department store? No, but you really should avoid them. Unless there is a huge sale going on, and by huge I mean 50% or more, then simply stay away. I touched on this tips to save money on clothes above and in my post about how to become a billionaire. You have to pay attention to quality. The higher the quality the item, the longer it will last you. Foolishly, in the past I ignored my own advice. I bought tee shirts from a retailer because they were only $9. I wear tees all of the time, so I thought $9 was a great deal. Only it wasn’t. The shirts lasted me on average of a year. So every year I am forking over another $9. If I bought a higher quality shirt, one that costs $30, I wouldn’t have to do this. That $30 shirt would last me 5 years or more. In 5 years my cheap tee shirts cost me $45 ($9 per shirt, one new one each year for 5 years). This same concept applies to everything you buy. Don’t make the mistake most do and only consider price. You have to consider quality and how long you plan on using the item. Sure it makes sense to buy the lowest price wrapping paper because you use it once and are done with it. But other things that you reuse you have to take into account the quality of the item. I can’t stress this one enough. You have to try everything on. Let me show you why. When I was younger, I knew my size. I knew that when I went to Gap for jeans, I needed a 33×34 pair. I knew when I shopped for jeans at Express I needed 32×34. Because of this I never tried anything on. The same thing applied to shirts as well. Not surprisingly, I bought a ton of clothes I never wore. Why? Because when I finally put them on at home, I didn’t like the look or how they fit. And no I couldn’t return them because I had already taken the tag off. A few years ago, I changed my approach. I tried everything on and something happened. In the dressing room I saw that I didn’t like the look of them or the fit, so I put them back. This has saved me a lot of money on clothes. I can’t tell you how many shirts and pants I put back and didn’t buy because I simply tried them on in the store. When I shop online, I do the same thing too, by the way. I open the box and before ripping the tag off, I try them on and look in the mirror. If I like it, I keep it. If not, I return them. Of course, you have to be honest with yourself here too. You know when you try something on how you feel. If you are on the fence, don’t buy it. Don’t fall for the trick of thinking the lighting is bad or with the right shirt the pants will look better. It won’t. Put it back and keep looking. So there you have how to save money on clothes. I use all of these tricks and have bought a lot less than I would if I didn’t follow them. And because of this, I save myself a good bit of money as well. The biggest note I can make on all of these tips though is that you need to be honest with yourself. This is how you will stop yourself from buying clothes that you never wear. Like I said above, if you aren’t 100% in love with the item, don’t buy it. If you do buy it, odds are it will never get worn or will only be worn once or twice and then buried in the back of your closet or in the bottom of a drawer. Save your money to spend on things you truly love and your wallet and future self will thank you.